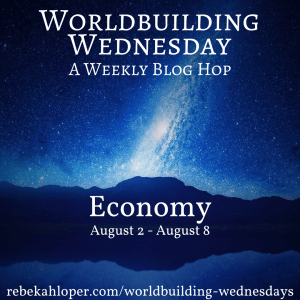 ← Worldbuilding Wednesday blog hop: DEATH! I would imagine that, just like the farmers, the military types will have a upper hand in the social structure. Trained protection is as valuable as food production. Then there are the people with the skills to fix/make weapons, simple machinery, etc. It would be a very scary place to live. It’s also scary to think about how many people will die simply because they don’t want to put out that kind of effort, even though they might be capable of it. Stories like that definitely show more of the mindset behind the idea “If he won’t work, he won’t eat.” It’s less cruel than some might think, and more of a necessity when technology is no longer on your side. And yes, definitely what Sabrina said – food, protection, and the ability to make and fix things is what will become most valuable very quickly.